The main pillar of Christianity is the life, death, and resurrection of Jesus. This is indisputable. Those who reject this truth reject Jesus, plain and simple. In spite of how they say they may “respect,” “revere,” or “follow” Him, if the fact of His sinless life, His atoning death, and His life-giving resurrection is disallowed or denied, then those people have neither respect or reverence and they are certainly not following the Jesus of the Bible. One cannot change the truth about someone and still say they follow that person. In 1 Corinthians 15:3-4, Paul explains this very truth in no uncertain terms. Yet, in spite of this, today, there are those who ignore, deny, and set aside these simple truths, upon which the Gospel is so beautifully built. Notice that Jesus’ death was not simply a death like any other. Paul attests to the fact that Jesus’ death was for a unique purpose and based on previously noted truth. The results of that sinless, atoning death triumphed over death as well. J. Sidlow Baxter calls this a “trinity of truths absolutely basal and vital to the Gospel.”  The entirety of the Gospel message rests on these three truths, which together make up one supreme truth. There can be no salvation for you or me without these truths. The problem is that since Rockefeller poured much money into the formation of Union Theological Seminary, out of which came what is known as “higher criticism” (along with many false teachings, in an attempt to eradicate the truth of Christianity), the attacks on Christianity in modern times have been unparalleled and unrelenting. The goal has been to destroy the very foundation upon which America was created, to cause doubt among those who consider themselves to be Christians, and to ultimately overturn the traditional views of America’s founding fathers. Great gains have been made by those who attack Scripture as being wholly unreliable. The sole reason for that has more to do with the fact that the average church-goer does not know what he believes and couldn’t find it in Scripture if his life depended on it. Because of this, that person is completely open to suggestion via what is known as emotional virtue. If it sounds plausible and affects a person’s emotional state, then that individual learns to be guided by his emotions instead of truth. People are given to looking to their emotion to determine the truth of a matter, rather than simply accepting what is truth as seen in Scripture. People today – unfortunately – have been dumbed down enough to the point where critical thinking has become a lost art and logic with it. If an argument can be presented in an emotionally challenging way, too many are apt to accept that argument as true, in spite of whether it is true or not. Consider Islam with respect to the life, death, and resurrection of Jesus. The founder of Islam – Muhammad – lived during the AD 600s. In spite of being removed from the life of Jesus by centuries, Muhammad simply decided that Jesus had not died on the cross, but was taken up to heaven prior to His actually death. Muslims have many ideas about Jesus’ death that are not true to Scripture. The Qur’an says Jesus died, “I was a watcher over them as long as I was present among them, but since Thou didst cause me to die, Thou has been the One to watch over them,” (Quran 5:117-118). The above are only a few reasons that Muslims say Jesus never died, though the Qur’an says otherwise. However, this statement from the Qur’an (and others like it) is explained away as referring to a future event when Jesus returns, He will die, according to Muslim belief. Without Christ’s death, there is no chance of receiving salvation. This is the truth that Satan needs to cover, malign, castigate, and destroy. Once a person understands that all of us are worthy of death, but Jesus came to die – literally becoming sin even though He was without sin as Paul states in 2 Corinthians 5:21. This fact cannot be overstated. God the Father made God the Son (Jesus) as though He was actually a sinner, though He never sinned Himself! Because of this, God the Father’s wrath was poured out on Jesus. All who see and embrace this truth are free of God’s wrath. Those who fail to see the truth ultimately rejecting it remain under God the Father’s wrath. It is so simple that a child can grasp it but adults have a very difficult time with it because it doesn’t seem as though it could possibly be true. Jesus died, was buried, and rose again. 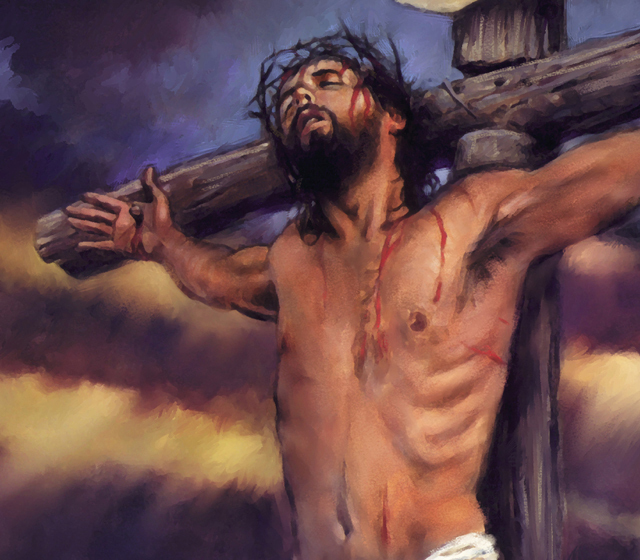 He did this as an atonement for you and for me. Satan does whatever he can to obliterate this truth, but the truth remains. What is your response to this supreme sacrifice? Entry filed under: Atheism and religion, Islam, salvation. Tags: jesus died, jesus rose from the dead, jesus was buried. Hey Jeff, exactly where is the typo? It’s probably staring me in the face, but I can’t see it. The Qur’an DOES say Jesus died, but that is a reference to a FUTURE event, according to Muslims. If you could quote the exact statement where the typo exists, I’ll change it. Thank you for your help!